Academy adds to future museum When the Academy of Motion Picture Arts & Sciences gathered for a recent staff meeting at the Pickford Center in Hollywood, the group had the opportunity to see a piece of movie history that impressed even the most senior executives: a pair of ruby slippers from “The Wizard of Oz.” It was the first time since AMPAS made the acquisition in February that anyone within the org had seen the shoes, and everyone celebrated with red velvet cupcakes embellished with tiny, garnet-colored shoes. The footwear unveiling was a tangible sign of how much closer the org is getting to opening the decades-in-the-making Academy Museum of Motion Picture Arts & Sciences, the centerpiece of which will be Dorothy’s magical shoes. 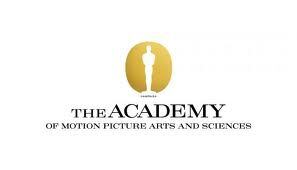 The Academy recently named execs to run the museum, which is targeted to open at LACMA’s May Co. building in 2016. Darren Aronofsky Judy Garland Movie: Director Shoots Down Rumors Of New Biopic Via Twitter Cross one project off Darren Aronofsky’s growing ledger. Despite a report from the website Tracking Board on Tuesday that Aronofsky would helm “Get Happy,” a Judy Garland biopic that has Anne Hathaway attached to star, the director confirms it isn’t happening. “Judy Garland story is not true,” Aronofsky wrote on Twitter. While the account is not verified by the social networking site, The Huffington Post confirmed with Aronofsky’s publicist that it is indeed the director doing the tweeting. Vancouver Symphony Orchestra and the Wizard of Oz at the Orpheum Forget evening-dress attire. The Vancouver Symphony Orchestra is encouraging patrons to don their best Dorothy, Scarecrow, and Wicked Witch costumes to win prizes at a unique screening of the original 1939 The Wizard of Oz on Monday (April 2). The VSO will provide the soundtrack, live, as Dorothy skips down the Yellow Brick Road to find her way home. Get ready for classic tunes like “Over the Rainbow” and “If I Only Had a Brain”, along with classical moments that include Robert Schumann’s The Happy Farmer, Modest Mussorgsky’s Night on Bald Mountain, and Felix Mendelssohn’s Scherzo in E Minor. And feel free to bring the munchkins. Dorothy of Oz Prequel #1 (Advance Review) The comic book, across its 22 pages, does not move far in terms of story. It spends most of its time hanging out with the comic/movie’s antagonist who engages in a relatively uninteresting monologue for most of the time. All the reader learns is that he’s evil, that he does bad things and that most of his humor comes from him acting like he’s four. The comic’s artwork is the impressive strength of the book. It accurately fits the animation style of the upcoming movie, and Blair Shedd knows how to draw characters in a way that’s simple and emotive enough to engage child readers. The Way of Oz: Guiding a Life of Wisdom, Heart, and Courage Besides commentary on the characteristics and the overall importance of humility, the Wizard in The Way of Oz inspires us to think of the wisdom of Confucius, who proclaimed: “Humility is the solid foundation of all virtues.” And through The Way of Oz, we understand the power of integrity, empathy and beneficence to guide one’s life, all with ethics in the lead. Now, put the story, the characters and the lessons of the author’s life together and you have The Way of Oz: A Guide to Wisdom, Heart, and Courage. Or, stated differently, a guide for lifelong learning, loving, and serving—all with a future focus and ethics in the lead. 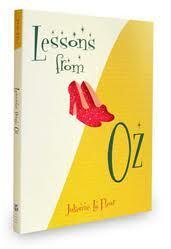 Thus, The Way of Oz offers a framework for the journey down the Yellow Brick Road of Life. 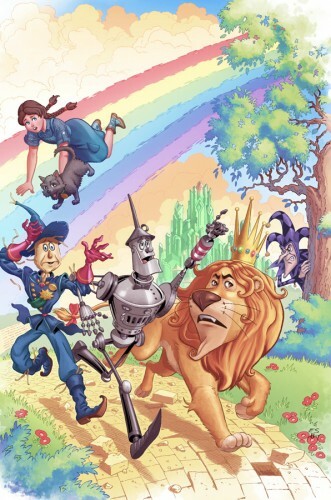 Audiobook Review: The Wonderful Wizard of Oz by L. Frank Baum Anne Hathaway’s reading of The Wonderful Wizard of Oz totally works. It’s hard not to hear the influence of the 1939 Musical in how she captures some of the characters, particularly Dorothy, and The Cowardly Lion. This creates an interesting issue. One of the things that is often strange for me when viewing The Wizard of Oz is Garland takes on the almost impetuous and naive cadence of an 8 year old girl, which is Dorothy’s true age as opposed to Garland’s actual age of 17 at the time of the performance.. Hathaway perfectly mimics that tone, which is just right for Dorothy, but you can’t help imagining the older Garland when she does it. This really isn’t a bad thing, but it does make for a weird blending of movie Dorothy and book Dorothy. Her voice of The Tin Woodsman has a melancholy tone, an almost feminine softness that is hard to adjust to at first, yet it captures the dichotomy of a character who a times cries when he kills a small bug, but then ruthlessly slaughters a legion of wolves. Most importantly, when you listen you are not constantly hung up on the fact that you are listening to a Hollywood Starlet read you a classic tale. Instead, her voice allows you to fully immerse yourself in the world of Oz, which is in fact, Wonderful. Hillsides benefit brings in the green There was a traffic jam on the “Road to the Emerald City” when Hillsides, a non-profit home for abused children, held its annual benefit at the California Club in downtown Los Angeles. Formally dressed guests captivated the “Wizard of Oz” spirit of Dorothy’s perseverance and compassion, Tin Man’s heart, Scarecrow’s wisdom and Lion’s courage to make a difference by raising $390,000 for this home that was first founded as an orphanage in 1913. Guests were enchanted by a replica of Judy Garland’s ruby slippers that she wore in the iconic film. The slippers were previously on loan to The Smithsonian Museum from the collection of David A. Pacheco. These sparkling shoes were on display on a revolving pedestal above one of the silent auction tables. ‘Community’ takes on Michael Jackson, Judy Garland, and Bono If you thought Community went all-out on its Halloween costumes, you ain’t seen nothing yet! The next all-new season three episode is about to show you just how much fun this study group can have on just a regular day. Dressing up in costumes is not just for Dean Pelton (Jim Rash) anymore! Girlfriend Getaway Finds Wizard of Oz in Wamego Retiring to The Victory Inn Bed and Breakfast, we paused to enjoy the water fountain near the gazebo in the beautifully landscaped yard and then sat on the swing on the Victorian home’s wraparound front porch. I chose the No Place Like Home Room displaying Wizard of Oz memorabilia, while Janis slept just down the hall in a canopy bed in the larger Bistro Room, reminiscent of the sidewalk cafes in Paris. Museum of Play hosts ‘Wizard of Oz’ weekend Are you a good witch or a bad witch? Meet Glinda the Good Witch and pose for pictures. Then ooh and aah over gigantic bubbles and entertaining humor at performances of Bubble Man Doug Rougeux’s BubbleMania on Saturday at 11 a.m. and 2 p.m. and Sunday at 1 and 3 p.m. Rougeux has been performing all over the world since 1984, including two national tours with Ringling Bros. and Barnum and Bailey Circus. 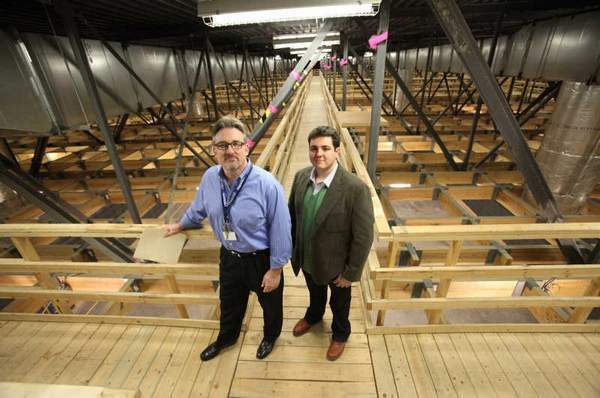 New film studio in Pontiac struggles after state says ‘Cut!’ to incentives The studio underwent its first test last year when “Oz,” the $105-million Walt Disney 3D prequel, took over all seven sound stages for much of the year. “I give it an ‘A,’ ” director Sam Raimi, a Royal Oak native, told the Free Press. “It’s the best I’ve ever seen. I recommend it to the world.” “Oz” came to Pontiac because it was approved for a $40-million Michigan film tax credit in 2010. In December, the state further revised the incentives, turning them into grants and reducing the percentage of money paid to production companies. The new law keeps the film incentive program until September 2017. You haven’t lived here until … you leaf through CMU’s children’s antique book collection Central Michigan University is home to an open-to-the-public collection of antique kids books. Definitely check out the early edition “Alice’s Adventures in Wonderland,” bound in vellum, that author Lewis Carroll gave to Princess Beatrice, daughter of Queen Victoria, and the 1900 first edition of L. Frank Baum’s “The Wonderful Wizard of Oz” with the complete set of 39 sequels. But No. 1 on your list should be “The Speaking Picture Book,” circa 1880, which made animal sounds by pulling strings attached to a set of miniature bellows inside. This volume is 4 inches thick; only a quarter-inch is paper, according to Clarke Historical Library director Frank Boles. ‘Witches of Oz’ cheesy but fun for family I’m guessing director-screenwriter Leigh Scott learned how to stretch a dollar as a disciple of B-movie director Roger Corman. The digital effects are second-tier, the pacing is slow (especially early on), and the acting also feels like television-series work for the most part — and not the best of that. An exception is Christopher Lloyd (“Back to the Future”) as the wily Wizard, who at one point claims to have once played Lear on the Omaha Playhouse stage. Wish I’d seen that.